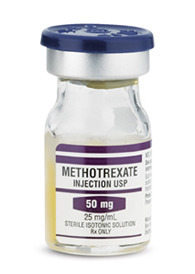 Methotrexate is used for cancer treatment generally in higher doses than for other uses and is often administered intravenously or intramuscularly. Methotrexate is used to treat psoriasis, an inflammatory skin disease, as well as the arthritis that occurs in 10 percent of these patients (psoriatic arthritis). It is also used to treat active rheumatoid arthritis in adults and children and other rheumatic diseases, including polymyositis and systemic lupus erythematosus. 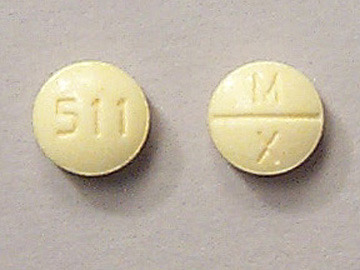 Methotrexate has been used to induce miscarriage in patients with ectopic pregnancies. Methotrexate belongs to the group of medicines known as antimetabolites. It is used to treat cancer of the breast, head and neck, lung, blood, bone, and lymph, and tumors in the uterus. It may also be used to treat other kinds of cancer, as determined by your doctor. Methotrexate blocks an enzyme needed by the cell to live. This interferes with the growth of cancer cells, which are eventually destroyed. Since the growth of normal body cells may also be affected by methotrexate, other effects will also occur. Some of these may be serious and must be reported to your doctor. Other effects, like hair loss, may not be serious but may cause concern. Some effects may not occur for months or years after the medicine is used. Before you begin treatment with methotrexate, you and your doctor should talk about the good this medicine will do as well as the risks of using it.